Kiwi.com, global flight search company, has won the TOP Wallmarketing competition, which is a part of the yearly CBRE Meeting Room of the Year competition. 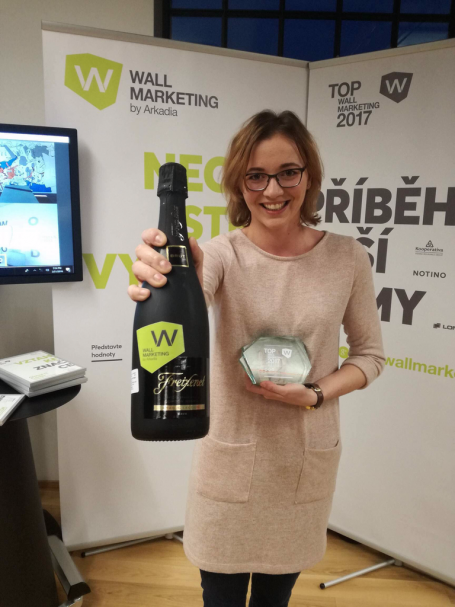 Kiwi.com has, thanks to its Brno office interiors, won this year´s TOP Wallmarketing competition, which is a part of the CBRE Meeting Room of the Year competition. The TOP Wallmarketing competition recognizes the use of white office walls as a communication channel. Its aim is to highlight and evaluate smartly and effectively used office walls as a marketing communication tool. „We are very pleased by the award for TOP Wallmarketing. It is a recognition which confirms that it is possible to effectively and meaningfully use designer office space for communication inside the company,” said Lucia Skalová, Workplace Project Manager at Kiwi.com. The jury members from various industries have evaluated the nominees in five categories: creativity of design, design originality, messaging quality, space harmonization, and brand relationship.